It’s not Christmas without a gingerbread house, right?! Introducing the Funfetti Gingerbread House! Without really planning it, making a gingerbread house has become a bit of a tradition on this blog. I’ve done a Gingerbread Train, a Gingerbread house cake, and then we had the local ‘n lekker version of my Muizenberg Beach Huts last year! This year though, I was challenged to make a pretty pastel sprinkle-loaded Funfetti Gingerbread House of fun by the folks over at Stork. And yes, this was as fun to make as it looks! This is no dark and spicy gingerbread, though. It’s light and crisp with just a hint of ginger. Using Stork Bake for the base means that the biscuits will stay fresher for longer – so you can actually eat the house! It’s not just a decoration, guys! Because the biscuit dough is loaded with funfetti, I kept the walls naked to show off the little bursts of colour. 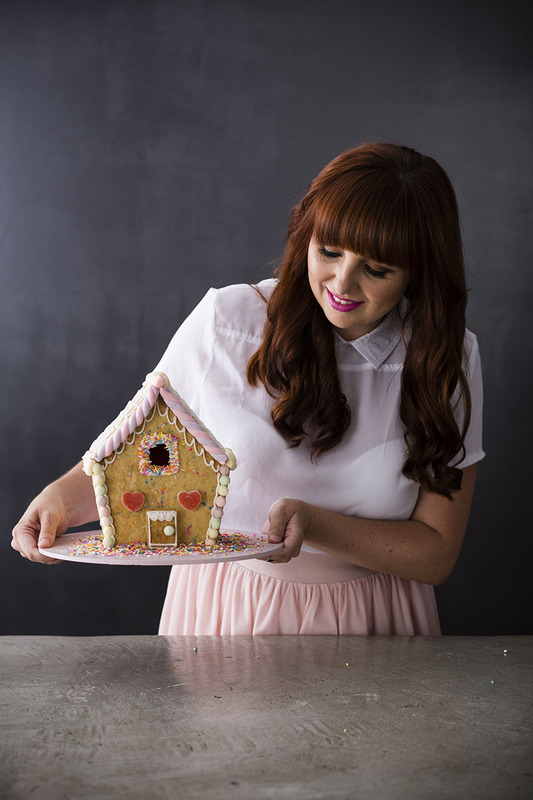 The trick to making a house that actually stands is to cut the gingerbread AFTER you’ve baked it, not before. If you cut the dough before, it will warp either during baking or when you move it onto the baking tray. Cutting it afterwards means you’ll have sharp, crisp lines that will make assembly so much easier! Then, it’s all in the decorating! I used white chocolate drops to form the roof tiles, marshmallow strips and milky jelly tots to trim the walls – and how cute are those jelly heart windows? *faints* I’d definitely want to live in a house like this… Although, knowing me, I’d be homeless pretty soon with such delectable walls! Feeling inspired to bake this Funfetti Gingerbread house? 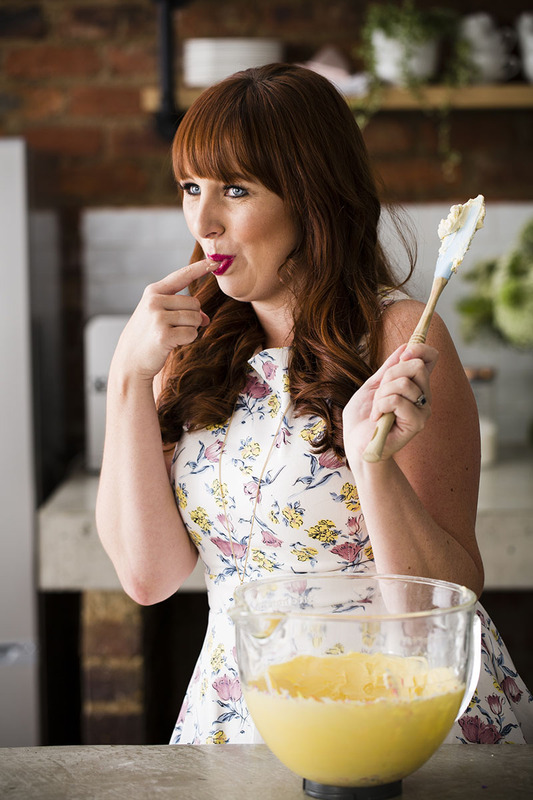 Or maybe you have your own festive recipe that’s a family favourite! 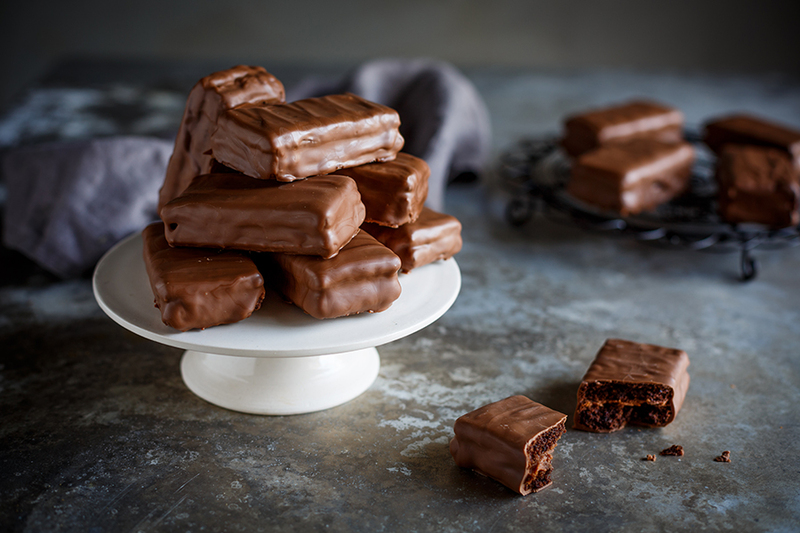 Whip it up using Stork Bake and share a picture on the I Love Baking SA Facebook Page and you could WIN a Kenwood Mixer! Do it, go now! Preheat the oven to 180C (or 160 degrees celcius if using a fan-forced oven). Download and print a gingerbread house template from the internet (whichever shape takes your fancy) and cut out the pieces. Cream the Stork Bake and sugar until very pale and fluffy – about 6-8 minutes. Add the flour, ginger, vanilla, salt, sprinkles, bicarbonate of soda and enough milk to form a soft dough. Roll the dough out on a floured surface or between two sheets of baking paper until 5mm thick. Refrigerate for 30 minutes if too soft. Place the entire large piece of gingerbread dough on a baking sheet and bake in the preheated oven for 8-10 minutes or until golden and crisp. Remove from the oven and, while still hot, cut out the gingerbread house templates using a sharp knife. * Set aside to cool. To make the royal icing, whisk the egg white gently then add the icing sugar until a stiff paste forms. Add the lemon juice. The icing should be quite thick. 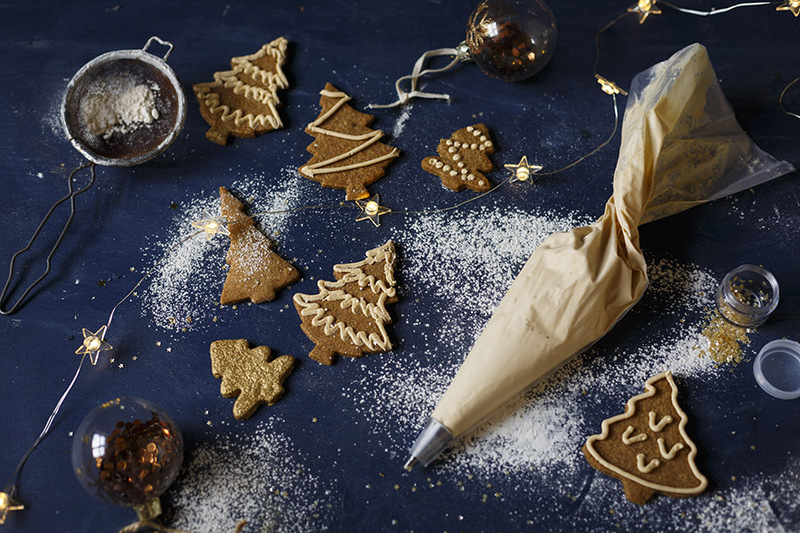 Place the icing in a piping bag and snip off the tip. To assemble, use the front side of the gingerbread so you can see the funfetti. Start by piping the gingerbread pieces to the bottom of your cake stand or serving board and then add the roof. 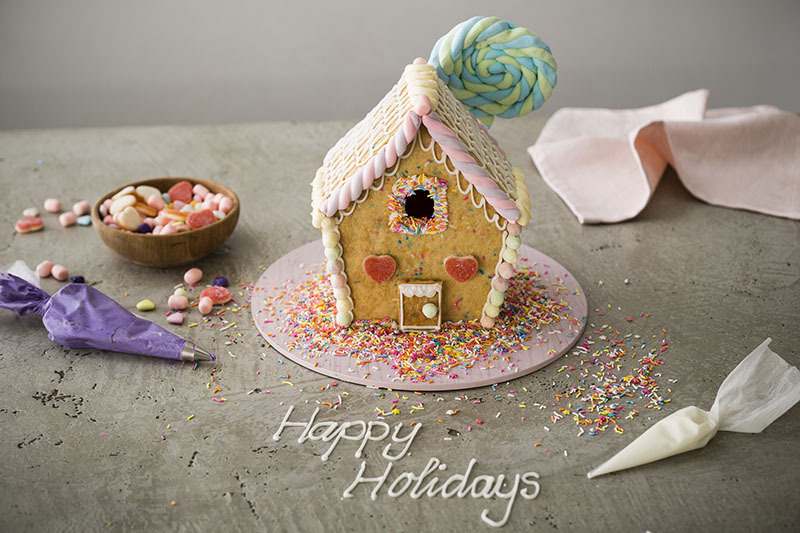 Use the icing to pipe on the various decorations – roof tiles, doorway and ‘grass’. 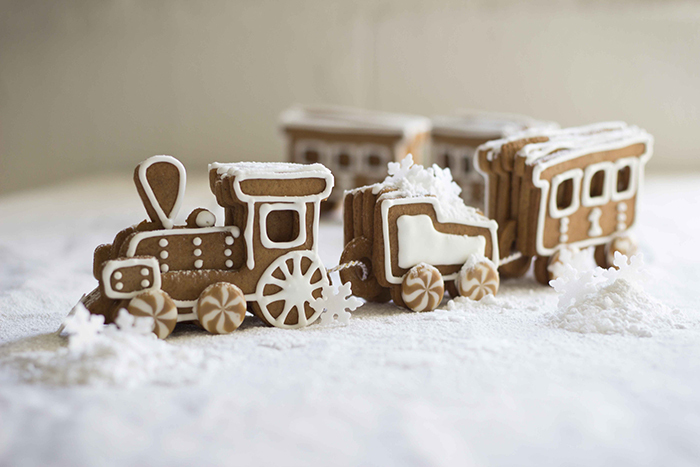 *TIP If the gingerbread gets hard, simply pop it in the oven for a few minutes to soften up. What sprinkels do you use? The brand? Or where do you buy them? Hi Karlene, I love the Nicoletta sprinkles – they are available at Woolies, PnP or via their website http://www.nicoletta.co.za/. To create unique sprinkles, I also like to blend different types! 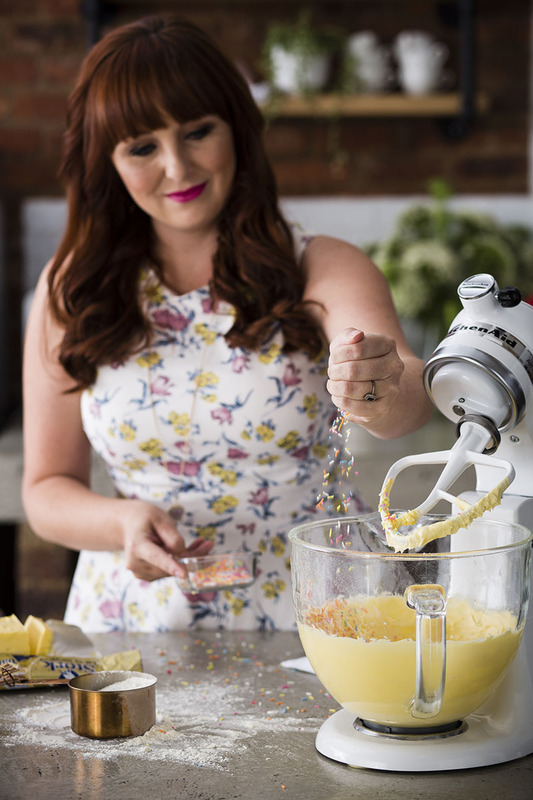 You can also make your own – check out this post I did on homemade sprinkles.